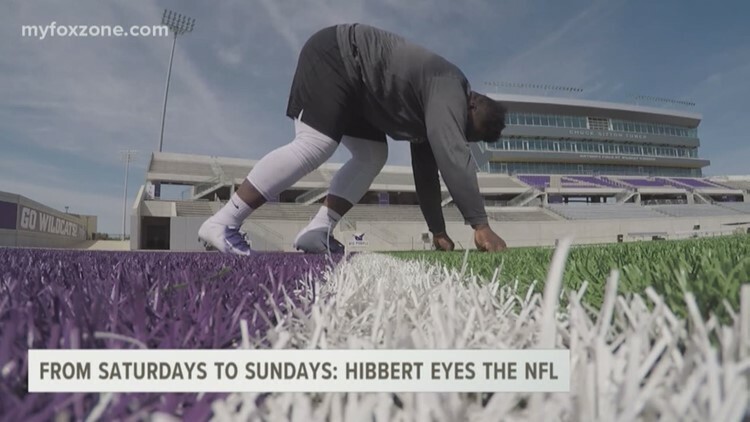 ACU defensive tackle Dante Hibbert made his impact felt in the trenches. He shined as a two year captain. Now, he looks to make the next jump to the NFL. 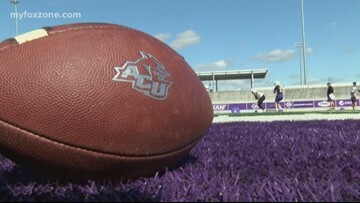 ACU's spring football schedule is coming to a close. This time together has been important for building chemistry. Also, since the Wildcats last hit the field, a few other ACU teams have won conference championship games. That's lighting a fire under the football team to be the next ACU squad to add to the winning culture. Merkel's used to seeing Tyrell White-O'Neal perform. Usually, it's in football, basketball and track. However, White-O'Neal is making known his dream to be on the silver screen. 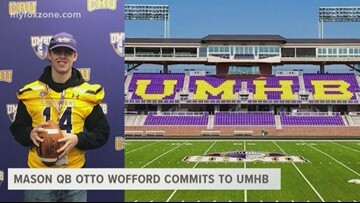 After leading the Punchers to a state championship, Mason QB Otto Wofford announced he'll play college football with Mary Hardin-Baylor. Central linebacker Daylon Green decided to stay close to home. 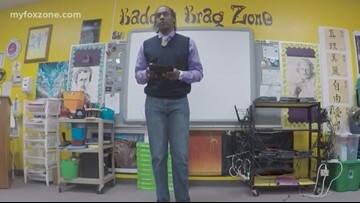 He signed with Angelo State. 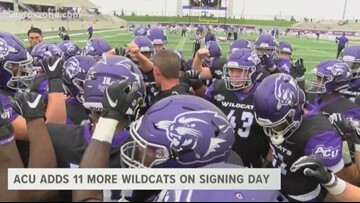 On National Signing Day, Abilene Christian added 11 more players to the roster. 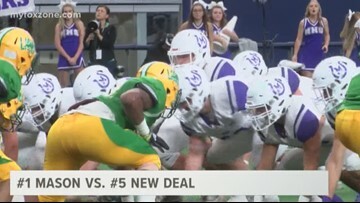 Including early signing day, ACU adds quite the hefty load of new talent. 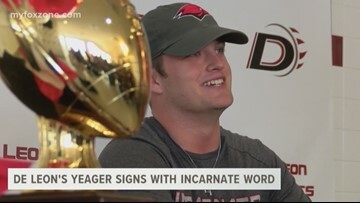 After his illustrious career quarterbacking De Leon, Kevin Yeager officially signed on the dotted line to play D-1 ball with Incarnate Word. He leaves behind an incredible legacy with the Bearcats. 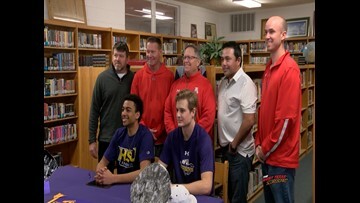 Jim Ned running back Cooper Castro announced on twitter that he'll play college football at Hardin-Simmons. The Mason Punchers complete their incredible season coming out on top in the State Championship game. 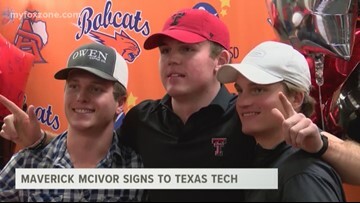 San Angelo Central QB Maverick McIvor officially signed to play ball at Texas Tech. 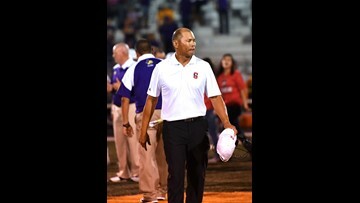 The Angry Orange star couldn't be more excited to continue his football career in Lubbock.